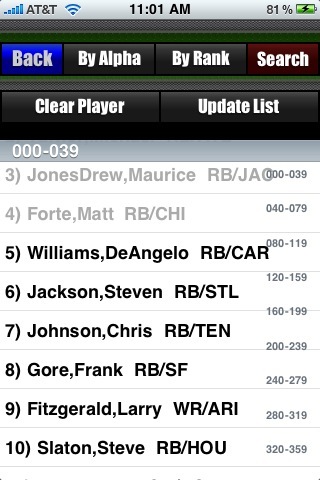 This fully comprehensive app allows you to create or participate in a mobile draft. You can join a public draft OR create a public draft and allow others to join OR create a private draft for just you and your friends. And the best part, other participants don't have to have an iPhone as there is a mobile web interface for the 'unlucky ones'. Any person with a web browser on their phone can participate and play! Participate in as many drafts as you want simultaneously. 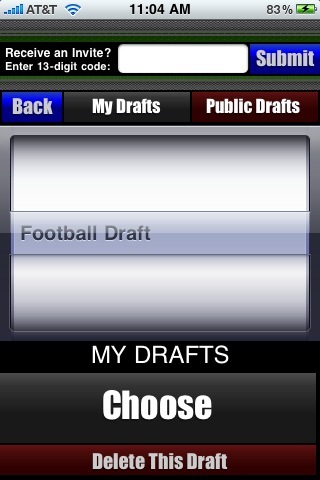 • Conduct a private draft (no online input) for you and your friends. • Conduct a networked private draft and invite only your friends. 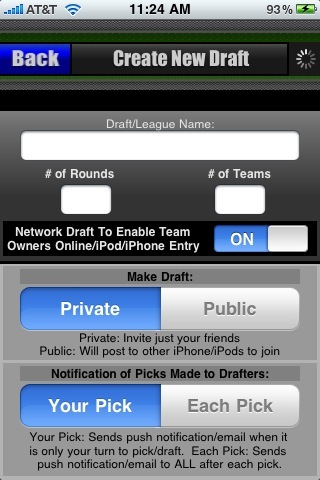 • Create a public draft and allow others to join. 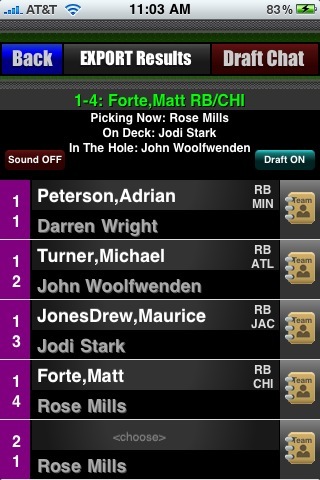 • Set to PUSH NOTIFICATION for each pick or just when its your turn. • Set a custom draft order or choose our randomizer to set the order. • If you create the Draft, you are its Administrator with the power to Change/Edit/Make any pick; Change Team Owners/Send Invites; Start/Stop Draft; Export/Delete Draft. Other entrants are only limited to their team management. • Even setup a fantasy league (through FanStar) with your Draft Results. • Sound updaters to remind you of your pick or when a new pick has been made. • PUSH NOTIFICATION or EMAIL NOTIFICATION (if you do not have push activated) for participants to stay updated on the draft. The setting for this can be either all picks or just when it is your pick. There is much more in this thoroughly developed APP. 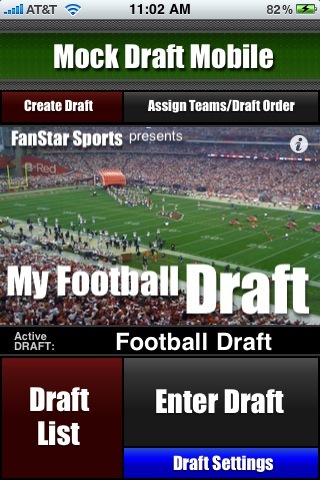 Enjoy drafting for Football (this app) or try one of our other apps for Baseball, Basketball, or Hockey.